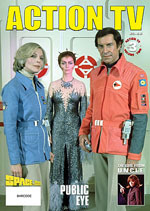 Once again McGoohan's TV work is mentioned in "TV & Film Memorabilia magazine" and also bags the front cover of the January 2008 issue. "The Prisoner" features in a "Top 5 TV shows of the 60s" article, written by Spencer Lloyd Peet. 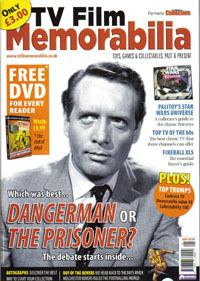 There is also a four page feature in the same magazine entitled "Danger Man v The Prisoner" - to find out which is best, buy the magazine! With thanks to Spencer Lloyd Peet, David Nightingale and Michael Richardson.